The Iranian Foreign Ministry has addressed the recently released US Nuclear Posture Review, which designates Iran, China, Russia and North Korea as potential threats to US national security. In the Nuclear Posture Review (NPR), released on February 2, 2018, US President Trump has delineated the country's stance on nuclear weapons: in general, the president decided to follow Obama's plan for modernizing the country's nuclear arsenal in three directions: new bomber aircraft, submarines and land-based missiles. 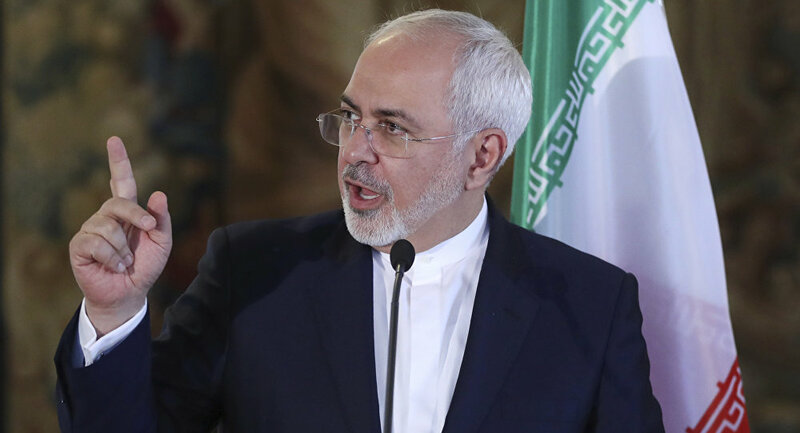 Commenting on the document, Iranian Foreign Minister Mohammad Javad Zarif described the possible consequences it might bring to the world. — Javad Zarif (@JZarif) 3 февраля 2018 г. According to how the document depicts Iranian policy in the Middle East, the country views US influence in the region as a threat to its goal to become the dominant regional power. The NPR speculates that Iran continues to fund the largest missile program in the Middle East and could, in the future, threaten or deliver weapons, developing increasingly long-range ballistic missile capabilities, and pursuing its alleged "aggressive efforts" to undermine neighboring governments, casting doubt on its "long-term commitment to foregoing nuclear weapons capability." Commenting on Washington's position, the minister described it as "ignorance of Iran and the region". US nuclear forces are said to contribute to the "deterrence of nuclear and non-nuclear attack," "assurance of allies and partners," "achievement of US objectives if deterrence fails," and "capacity to hedge against an uncertain future." As Secretary of Defense James Mattis has observed, "a safe, secure, and effective nuclear deterrent is there to ensure a war that can never be won, is never fought."